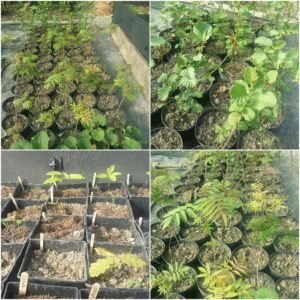 Over the past few years at Hooters Hall I have been experimenting with growing different plants and perfecting my propagation skills. At the end of last Summer the goats got into the polytunnel and basically stripped it of all vegetation. Frustrating though this was it did give me the opportunity to have a bit of a think about how we use the polytunnel. This year I have decided to be a bit more focused. I love growing plants from seed. The magic of planting a seed, getting the environment right to start germination and for the plant to grow. I’ll never tire of that but, then the question is what to grow from seed ? Having a polytunnel means my growing season is extended and I can experiment with more exotic plants because I can control the environment. I’ve also got a heated propagator so I can get the temperatures just right for germinating specific seeds rather than relying on the British weather. 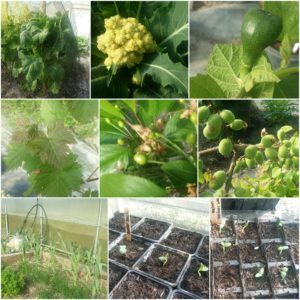 Most veg books and blogs suggest growing what you eat. 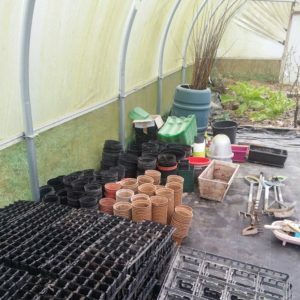 Although this is very sensible, and a good place to start for a beginner, I got a bit bored growing lots of carrots, potatoes and onions. We’re also lucky to live in a part of the country where there are a lot of commercial and back garden growers. The veg stalls in our local market are very good with a plentiful supply of very fresh, well priced basic veg and there are plenty of farm gate stalls around and about. 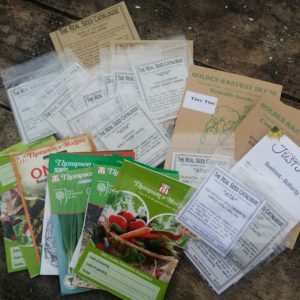 Bearing all this in mind I decided to focus on growing produce that is less everyday, more expensive or harder to get hold of locally and that I can sow in succession (because I do love germinating seeds). I’ve also decided to experiment with straw bale gardening this year. 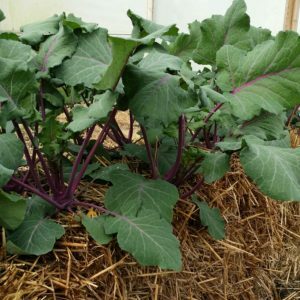 There’s lots of information online about straw bale gardening if you’re interested. Essentially it’s soil less, raised bed growing using straw bales as the growing medium. It takes a bit of preparation, and you need to keep on top of the watering, but the positives include faster growth and fewer soil borne pests and disease. So far it’s involved a lot less weeding and my crops in the straw bales are a few weeks ahead of crops I planted in the soil at the same time. Getting back to what to grow, after much perusing of seed catalogues and discussions with the Hooters Hall cook (my husband Chris) I decided on the following. 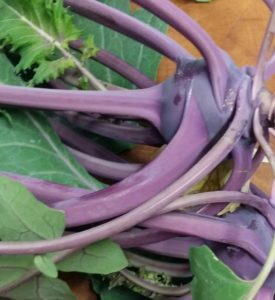 Kohlrabi, Summer Cabbages, Cauliflower, Peas, Broad beans, Spring onions, cut and come again salad greens, Spaghetti squash, Winter squash, Melons, Cucamelons, Basil, Courgettes, Sweet Peppers, Tomatoes, Quinoa and Beans. As well as plants for eating I’m growing lots of Sweet Peas for the garden, adding to my natural dye garden and experimenting with growing some trees from seed. Growing everything from seed means I often end up with more plants than I have room for so I’ll be putting any surplus plants on our farm gate stall and in the online farm shop. Here’s a picture of some of our growing in a straw bale and freshly harvested ready to go in stir fry. Comments Off on What to grow ?